The LTE-A Network Emulator NE6000 is designed for rich system testing of LTE-A mobile device, such as smartphone, tablets, router, MiFi, and M2M products. NE6000 emulates a complete LTE-A network system with eNB and true EPC. NE6000 not only offers unprecedented diagnosis & troubleshooting capabilities for LTE-A system development and debug, but also tailors for production line and QA/QC. NE6000 provides a powerful built-in protocol analyzer which can capture and examine protocol messages (RRC/NAS/IP Layer) between DUT and eNB/EPC to help identify and resolve system design issue. In order to provide more efficient and better quality of services in LTE-A system, LTE-A network architec-ture defines the end-to-end bearer service architecture to fulfill the request of QoS. The QoS test consists of GBR Bearers (Dedicated Bearers) and non-GBR Bearers (Default/Dedicated Bearers) is guaranteed for LTE products to meet LTE QoS requirements. 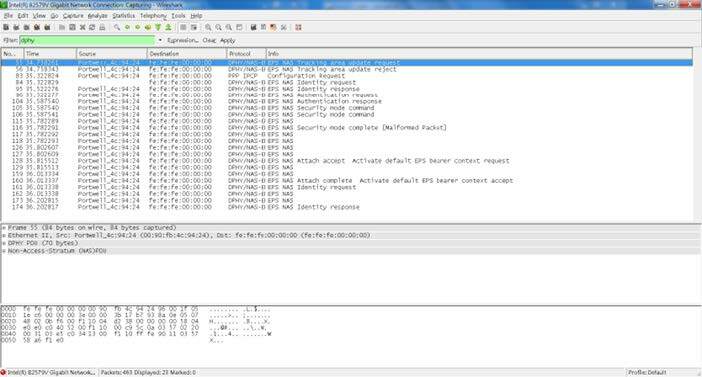 NE6000 provides friendly configuration of the key parame-ters of GBR Bearers and non-GBR Bearers to support QoS test. 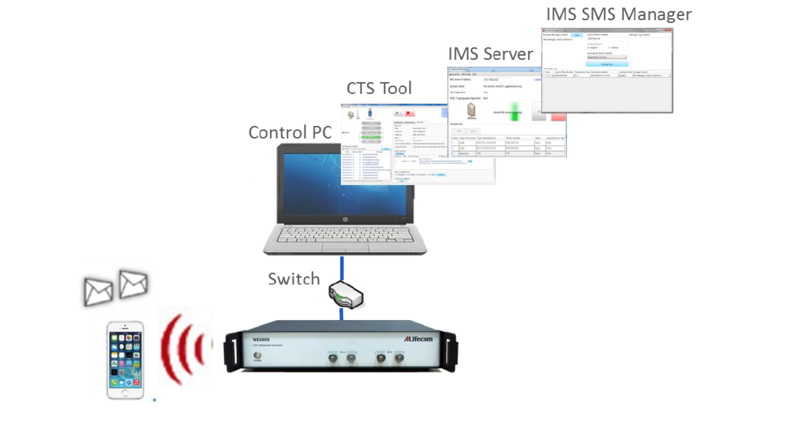 NE6000 provides a powerful VoLTE test environment which includes built-in IMS server in NE6000 CTS tool. 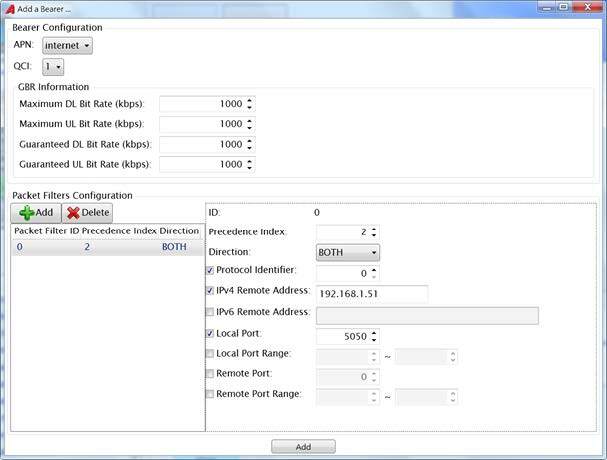 Users can easily use NE6000 with friendly environment configuration to verify the DUT(s) for VoLTE with IMS functions. NE6000 behaves closer to a commercially operated LTE-A network to support the unique end-to-end VoLTE tests between two DUTs (phones) within a cell. 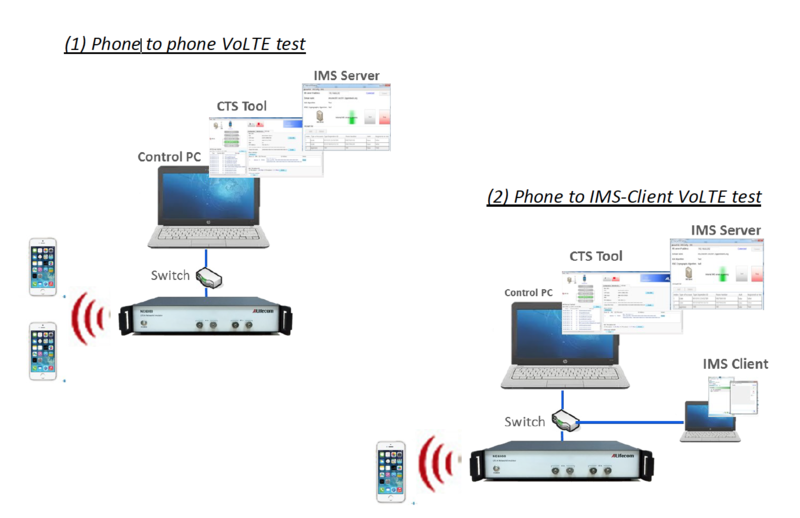 NE6000 also supports single DUT (phone) VoLTE test with a built-in IMS-Client. 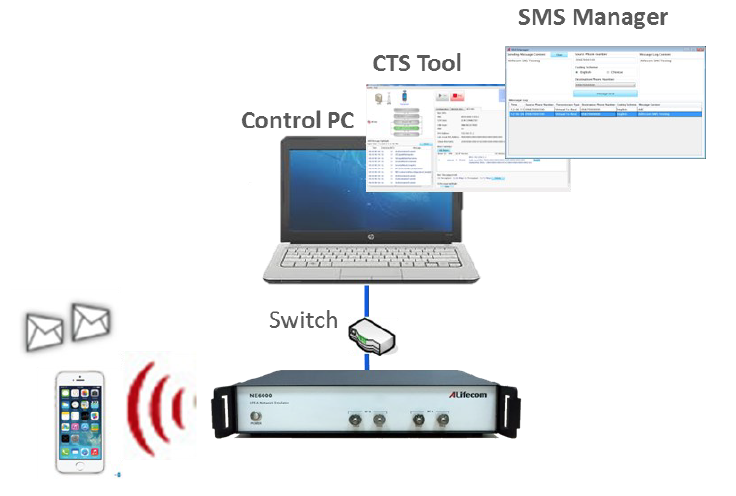 NE6000 solution provides an intelligent SMS manager tool which can edit SMS message content to help verify the SMS sending/receiving function of DUT. NE6000 solution provides an intelligent PWS test tool which can select PWS message ID, Language, and edit message content in single test scenario or sequence test scenario to help verify the PWS function of DUT. NE6000 solution provides reject function test to emulate the attach reject scenario when DUT(s) try to attach LTE-A network. User can set specific reject cause that NE6000 can be used to reject DUT(s) connect requests. The test could help verify whether the behavior of DUT(s) is correct or not when DUT(s) receive various reject cause. 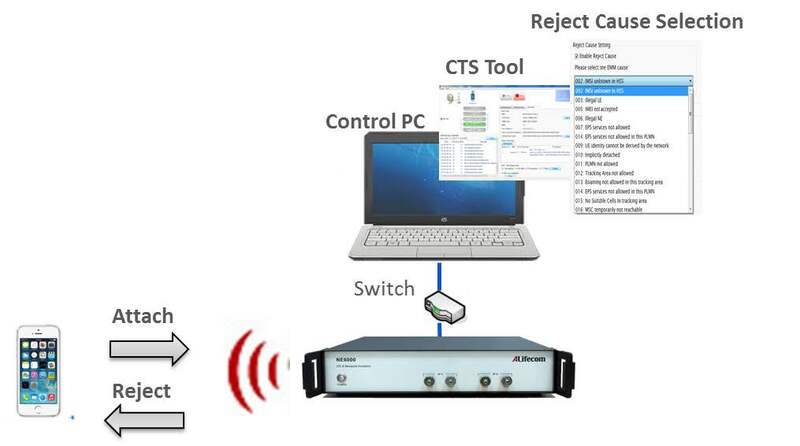 NE6000 is the UNIQUE LTE signaling tester to equip 4-UEs synchronously connect to deliver high-compact, TRUELY test scenario and solutions. NE6000 provides different resource scheduling mode (10% ~ 100% with 10% per step) and MCS combination configuration to meet customer performance requirement for power/battery measurement test.